Welcome to the Toyota 4Runner Forum - Largest 4Runner Forum. New T4R.ORG member introductions and welcomes. Discuss things of interest, not necessarily related to the T4R. Post your Toyota 4Runner pictures here. Maintenance and detailing information and discussions. Fluid changes, belts, detailing, etc. Do you drive with a gun? DRZ Off Road is a new company based out of St. Georg, Utah. Toyota 4Runners are our passion and we currently only sell aftermarket 4Runner parts. DRZ Off Road started when we were trying to find an LED swap set for our 5th gen 4Runner. All the sets we ordered were either extremely spotty or dimmer than the stock halogen low beams. We thought, we can definitely offer a better LED that these. After months of testing we found an LED that worked perfectly with the difficult 4Runner low beams. Give our website a visit and check them out! Since starting, we have expanded into other lighting for the 4Runner and have also added 4th gen products. We are growing every day and will also be offering wheels, roof racks, bumpers, suspension, and more in the near future. Overland Gear Guy manufactures custom overland gear including seat organizers, pouches, spare tire trash bags, recovery bag, visor organizers, and much more. What began as manufacturing customized gear for police, military, EMS back in 1990 has evolved into heavy duty overland gear built to withstand the rugged needs of off-road life. We proudly make our products in the USA and our design, manufacturing, and customer support team are in-house. When you reach out to us, you'll get a real person rather than a random person in a different country. We believe in our products so much we back them with a lifetime workmanship warranty. Toyota of Cedar Park, in Cedar Park, Texas. We are a new dealership, adding vendors by the day. We’re a Dobinsons direct dealer, TOYTEC vendor, Stealth Custom Series wheel vendor, and a GOBI dealer. We are very off-road and overland friendly, with many folks here driving lifted 4Runners, Tacomas, and Tundras! We keep a lot of stock, and we ship nationwide! We work with many of our local Facebook clubs, and organizations to support our cars and the folks that love them. Our parts department has a lot of very knowledgeable people, who understand these cars and what works best for them. If you need an OEM or aftermarket bolt ons, give us a call. Let us know you’re a T4R member and take 20% off! RPMFAB exists out of a passion to build and bring to market the best quality American made products for your Toyota 4Runner. Started over 12 years ago as one of the leading fabrication shops in the Metro Phoenix area RPMFAB has now grown into one of the leaders with innovative clean design bumpers, Roof Racks and Sliders for your 3rd, 4th, and 5th Gen 4 runners. Coming from over 15 years of experience in the automotive wheel industry Venomrex was established to give adventurous and free-spirited drivers a brand to call their own. One that satisfies not only the heart (with bold, inspired, and unconventional designs). But also the mind, with innovative Flow Forged construction that guarantees unsurpassed strength and durability under any road conditions. Venomrex: the wheel to choose when Adventure strikes. 25 years ago, Baja Designs was founded with a passion and thirst for off road. Performance driven, race tested, Baja proven - Baja Designs engineers and manufactures American made products, using only the best components available, right here in San Diego, California. Enthusiasts know that BD provides the highest quality and meticulously crafted LED lights on the market today. The world's top off road drivers stand by our products for a reason - because they get you home safe – and fast. This video details every breath that Baja Designs takes in and lets out. From the engineering phase led by founder and lead engineer, Alan Roach. To the finished products on elite race vehicles, special forces military vehicles, and everything in between. Baja Designs breathes passion, quality, and performance. With off road LED lighting solutions that are second to none, it is no surprise that Baja Designs has become known world-wide as The Scientists of Lighting. Parts to get you where you want to go! Off road lighting solutions, wheels, lockers, recovery equipment, triple diamond Trail-Gear and Ruff Stuff Specialties dealer. We look forward to helping you with great products, great prices and great service! Offering quality steel and aluminum goods for Toyota 4x4s, proudly designed and fabricated in the USA. C4 Fabrication specializes in heavy duty off road protection for your 4runner. Our products are functional and purpose built while also maintaining an appearance that stands out from the other brands on the market. Watch our forum posts and website for new products as they become available for Toyota off-road vehicles. TRDparts4u was formed in 2003 as the on-line accessory store for the parts department at Toyota of Dallas. In the years to follow, it has grown to be a globally recognized name for TRD (Toyota Racing Development) parts and accessories, Genuine Toyota parts and accessories, and many, many other producst made specifically for Toyotas and Toyota Trucks and 4x4's. Welcome to Off Road Warehouse. We are on and off road enthusiasts. We have been involved in some form of off road racing or events for more than 30 years. Started in 1973 to service the local off road racers, who at one time could not easily find the parts and components needed to compete in events such as the Baja 500 and Baja 1000. We have competed and won multiple events in different classes. Our combined experience totals well over 100 years. We are located in Southern California with four retail stores, we have over $1,000,000 in inventory with easy access to millions more. We currently have more than 600 different product lines, including some unusual or hard to find items. We Strove to deliver Honesty, Integrity, and Value through Exceptional Customer Service and product knowledge. In the process we hope to keep you as a long term customer. Off Road Warehouse has many Truck, Jeep & Off Road enthusiasts in its employ, we love what we do and strive to make every effort at customer satisfaction. We are into what we do. If you have a club and would like help with an event you are putting on, contact us. If you have some images of your Truck, Buggy, Jeep and want them on the website, click here to email us your pictures! Rago Fabrication is a veteran family owned off-road product manufacturer. We design and fabricate quality off-road products right here in the USA. We also offer custom CAD design and CNC plasma cutting upon request. Salex Organizers designs and manufactures all products in Colorado. Established in 2012. The first organizer was developed for the Toyota Tacoma. Simple products making great solutions! All products are CAD designed and produced by CNC machining or injection molding depending on the part. Salex Organizers now makes center console organizers, center console trays, and glove box organizers for many cars, trucks, and SUVs. Three products are available for the 5th generation 4Runner. The lower center console grid organizer , the upper center console tray organizer, and the glovebox organizer. Salex Organizers manufactures and sells all products so you can expect great customer support. Satisfied customers telling their friends and leaving positive reviews is the goal. Relentless off-road Fabrication specializes in designing and building the highest quality off road armor and accessories for all Toyota 4x4’s. We have been pushing the advancement Toyota aftermarket since 2010 with new and fresh designs that are both highly functional and match the vehicle lines cleanly. All of our parts are CAD designed and fabricated in house to ensure the best quality and attention to detail. Compare us to the competition and we will come out on top with the best aftermarket off-road parts available for your Toyota 4x4! VTXWheels is dedicated to providing the highest quality wheels with the winning combination of a modern and unique design with elegant craftsmanship. We are passionate about off-roading as we are with building and designing our wheels. It is our pleasure to provide the off-road enthusiasts with quality and aesthetically pleasing wheel designs. 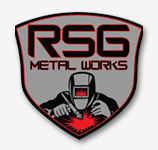 Founded in 2004 we specialize in body armor (bumpers, rock guards) as well as recovery gear and accessories. Purpose built products that are tough, durable and appealing as we continually innovate cutting edge off-road products. For 18 years SDHQ has continued to raise the standard of what an off-road shop should be. SDHQ bases its principals around a strong commitment to customer service, quality products, competitive prices, and professional installation. The backbone of our company is our talented team of knowledgeable staff that each truly shares our customers’ passion for all things off-road. We pride ourselves on our attention to detail and quality work. SDHQ has built a reputation for being perfectionists and for delivering a higher level of work. Our goal is to build long lasting relationships with our customers, we are not interested in cheap gimmicks or quick sales. When customers leave our shop we want them to walk away knowing that their work was done right, we will stand behind it, and they received the best value for their money spent with us. Over the years we had the pleasure of working with so many great customers, vendors and enthusiasts we value those relationships and will continue to grow the SDHQ “family”. We look forward to continuing to provide a higher level of service to the off-road community. Cali Raised LED is a Southern California based LED lighting distributer/retailer. We have 17 warehouse locations located throughout California, Arizona, and Nevada. Our mission is plain and simple. We strive to bring our customers the highest quality products at the lowest prices possible. We don't believe people need to spend thousands of dollars for lights so we are here to bring them the products they need. Led lighting is so diverse and we are here to bring lights to everyone. Hunters, fishermen, off-road lovers, ATV riders, or anyone who needs more light! At Coastal Offroad, we design plate bumper and skid plate kits for your Toyota 4Runner. Founded earlier this year, we are taking our diverse mechanical engineering experience and applying it to the off road market to deliver products that you can rely on. Our weld-together bumper kits provide the best approach angle and ground clearance of any bumpers available on the market. Combine this with unbeatable vehicle protection and you have offroad armor that will drastically increase the off-road capability of your vehicle. All kits are precision CNC cut and delivered with detailed instructions that can be easily followed by a novice welder. Need DIY vehicle workspace or want to get paid for sharing your garage with other enthusiasts? GarageTime is an online marketplace for Do-It-Yourself workspace. Our website lets motor enthusiasts find, book, and pay for vehicle workspace, and helps garage owners get paid for sharing their space. Headlight HID retrofit specialists with years of experience producing best quality custom lighting products and customer service. First Choice Wheels and Tires is an online retailer with over 100,000 square feet of fully stocked space. We have been in Business since 1984. Everything we do we believe in challenging the status quo; we believe in thinking differently. We live and breathe cars; we challenge the status quo by aggressively pursuing perfection. We strive to provide detailed information and educate consumers about the products we sell. We just happen to sell wheels and tires. Are you ready to give us a try? Extreme LED has been proudly offering LED lighting solutions to the off road market since 2013. We believe in providing high quality products at an affordable price, backed up, by a lifetime warranty. All orders over $50 ship free to the continental US from our Denver, CO warehouse. Plug & Play Vehicle Specific Products: Remote Starters, Electronics, Audio, etc. SIMPLE TO INSTALL PLUG AND PLAY DESIGNS. Our remote start systems are designed with the end user in mind. Whether you are a dealership technician or a weekend warrior you will be able to install our products with no issues. Most of our remote starters can be activated right from your OEM key fob by pressing the lock button 3 times. Need more range? No problem all of our solutions are offered with long range remote RF kits in 1-way and 2-way variations. Need something you don't see? Just ask! We can make a plug & play kit for almost any car on the road. We don't stop at remote starters we can design all types of electronics to be as plug & play as possible. We live and breathe wiring if you have any questions feel free to ask. BETTER CONNECTORS. BETTER PREP. BETTER FIT. Raingler products will only use the highest caliber and proven components in our products. We do not strive to build the cheapest product we can; but carefully craft the product that will still be in service and functioning fully years, if not decades from now. We never know what our products will encounter. Any condition or application around the globe, land, air or sea, and all of us here take pride in our very high-quality performance cargo nets. We want you to be 100% satisfied with your purchase and we offer a 30 day zero-hassle guarantee! 4th gen gear and videos! Proline 4wd Equipment was establish in 1999 by a wheeler enthusiast that wanted 4x4 accessories that were not available to the market at the time. We have constantly improved our product manufacturing to ensure every new product and modification is been better than the last, while maintaining highest possible quality. br/> Some of our products are; Bumpers, rock sliders, roof racks and many other accessories. Battle Born Offroad is the Southwest's fast growing offroad part supplier that is quickly becoming a leader in the aftermarket parts industry. BBO offers a catalog that offers high quality American Made truck, Jeep & UTV upgrades and accessories at competitive prices. Our staff is made up of offroad racers & enthusiasts, automotive industry veterans and general 4x4 experts that are here to help you select the best offroad gear & upgrades for your needs. Please contact us today to get started on your build and be sure to check out our threads for current specials you wont find anywhere else! Design & Fabrication of Toyota Tacoma, 4Runner & Tundra armor and accessories. Toyota Parts Express has been offering factory warranted OEM Toyota 4Runner parts and Accessories since 2008. We currently ship our quality parts World Wide. Search for thousands of factory original Toyota 4Runner parts for your vehicle. We understand the passion of 4Runner owners about their pride and joy...and we are with you in that passion. Lithia Toyota of Springfield is located in Springfield Oregon, about 100 miles south of Portland Oregon. We have been working with various online forums since about 2007. Our online store has been in operation since 2009. We are a Toyota dealer with a full parts and service department and have access to years of Toyota knowledge. One of our main goals is to personalize your buying experience with us. This is not just a place to order parts online. We are always here to answer questions, help with parts look up or assist in sourcing hard to find parts. We want to build customers for life, we do not want you to have the typical online or even in person dealership experience. We will go the extra mile to help. 4x Innovations is your home for all your high quality, affordable armor needs. Offroading is who we are and what we do, so even if you just want the looks you can rest assured your new armor is up to the task to act the part. We have an ever growing wide range of armor products to serve your needs, from front to rear bumpers we’ll get you covered. Our products are engineered in house from the ground up with ease of use and strength our priority. All items are manufactured in our state of the art manufacturing facility in Platteville Wisconsin using American machinery and American made steel. We look forward to begin able to serve you. All-Pro Off Road is your Toyota Off Road Specialist. We have been at the forefront of providing quality aftermarket parts for all the popular Toyota 4x4s. When new models are released we are the first to develop the most complete product lines available, which is probably why our products are often imitated, but never duplicated! RockAuto has been providing our customers with high quality, low cost parts, since established in 1999. We currently ship parts from over 200 manufacturers to customers all over the World. The huge selection of parts and the low prices in the RockAuto.com catalog attract customers. The www.RockAuto.com catalog includes a full line of mechanical parts, from small items like filters and wiper blades to complete remanufactured transmissions and engine long blocks. The RockAuto catalog also contains a growing number of body parts: door handles, mirrors, sheet metal, bumper covers, even carpets! The www.RockAuto.com catalog includes vehicles from 1945 to today, making it easy to find parts no matter what you drive. RockAuto.com prices are low every day! Order online at www.RockAuto.com 24 hours a day. Parts are conveniently delivered to your door. Have parts questions that must be answered accurately? RockAuto.com has excellent customer service agents ready to help you get the parts you need. E-mail service@rockauto.com or call 1-608-661-1376. (Mon - Thur 6 to 10 / Fri 6 to 9 / Sat 7 to 6 / Sun 8 to 4 Central Standard Time). Total Automotive Performance of Las Vegas, Nevada is the Toyota Truck, SUV & Offroad enthusiasts go-to source for aftermarket upgrades and accessories. We stock & ship 1000s of the top Toyota 4Runner performance parts. Along with our massive catalog and inventory, we work directly with top manufacturers to develop, test and introduce new products to the market. Contact one of our performance specialists here on the forum or by the methods below to discuss your project today. Our team members are happy to help guide you to the right upgrades and have years of experience to ensure you are getting the perfect part for your needs. We look forward to working with you! At Air Lift Company, we know safety and comfort are your top priorities when you tow or haul. That’s why we’ve been developing dependable air spring suspension products since our inception in 1949. Air Lift load support products are sold worldwide and are engineered to fit over 543 vehicles. Our extensive product line offers air helper springs for trucks, RVs, SUVs, CUVs and vans, and the most technologically advanced on-board air compressor systems for on-the-go air spring control. Custom assembled total hub bearing assemblies for both 4wd AND 2wd 4Runner, Tacoma, and FJ Cruisers. Over 20 years as an ASE certified Master Technician. Located in New Jersey, Ultrarev Inc. has been a premier aftermarket automotive parts retailer. We have gone from a standalone shop to a well-established competitor in the industry. We sell a wide variety of products that can suit the needs of any customer looking to upgrade their vehicle. We have an ever expanding inventory that is updated daily with over 100 manufacturers supplying it. With over 250,000 different available products, there is something that everyone can use as an upgrade. Whether it is suspension components, floor liners, or brake upgrades we can help support your off-roading needs. We only offer the highest quality products available and to top things off we offer them at the lowest prices possible. Stealth Custom Series™ is a wheel company dedicated to sleek, dynamic, and modern wheel design. Choosing quality over quantity, our focus is on limited-production and premium wheel models. We are as passionate about wheel design as we are off-roading. We look forward to meeting you on dusty trails where we go to find inspirations for the next SCS Models. Wheeler's Off-Road, Inc has been in business since 1999. We specialize in and offer products for 1990 -current 4Runner as well as the Tacoma, Tundra, Sequoia and FJ Cruiser. We also work with the Ford Super Duty and Excursion, some Nissan applications and Suzuki Samurai vehicles. We're adding more vehicle applications and we're happy to quote on products for other vehicles or any parts you don't see on our site. We're all off road enthusiasts and most of us have prior experience working either at Toyota dealerships, in the general automotive service field and/or in the fabrication/machining/welding fields. Wheeler's is a stocking warehouse distributor (Our warehouse is located in Southern Oregon) for all the top brands you are seeking for your suspension, brake and chassis parts needs as well as having a lot of products that we manufacture. We have competitive pricing and we want your business. Wheeler's goal is to give our customers a great buying experience. Wheeler's is adding many new products as quickly as possible so please keep checking back. High Tech Auto & Truck Center is family owned and operated and has been providing auto services to communities since 1987. Our friendly and knowledgeable staff will work with you to find the perfect tires, wheels, lifts, lights, exhaust or any other automotive products you desire to make your ride your own. But we do more than just auto customizations! High Tech Auto & Truck Center is a full-service auto repair and maintenance shop with state-of-the-art diagnostic equipment and computerized alignment capabilities. Our customer’s happiness is our main goal and we truly value the trust and relationships we build with each of them. Metal-tech 4x4 specializes only in Toyotas. We build the best quality steel products that are innovative and fully CAD engineered for off road performance. Specializing in bumpers, sliders, and suspension Metal-tech 4x4 is one of the few full time fully staffed commercial companies dedicated to serving the late model Toyota community. Since 2000 our reputation for customer service is sterling. Metal-tech 4x4 has an outstanding relationship with factory Toyota they have put us in their ads and continue to allow us access to late model trucks for new product development. 4Runner, FJ Cruiser, Tacoma, Tundra and Land Cruisers. When the BBC TV show Top Gear needed off road help in Bolivia they turned to Metal-tech 4x4 for boots on the ground and our products. We support off road events all over the US and Canada. Metal-tech 4x4 is a STOCKING distributor for: ICON Vehicle Dynamics, Radflo, Sway-a-way, Total Chaos, Light Racing, Old Man Emu, PIAA, ARB, Out Post Off Road. We know suspension, bumpers, and sliders with outstanding customer service. Vandergriff Toyota, located in Arlington Texas is a certified Toyota Dealer and repair center. We specialize in performance and “nitch” Toyota markets. We are an Off-Road friendly dealer and we enjoy supporting our fellow Toyota enthusiast. We are a contributing member to many Toyota and Off- Road clubs such as TTORA, TTR, FJ FORUMS, TMTC and Local Clubs. We host events at our location and off site, as well as provide vendor support from names like TRD, ARB, PRG, Mombasa, OME, Rocktek, Rampage, exc. An important point worth mention is the fact that we own and USE our Toyotas. Were here at Vandergriff Toyota Internet Parts Own three highly modified 4th gen 4Runners, and we truly love what we do. Bottom line, if you drive it and it says Toyota we like it. Lifted, lowered, locked, supercharged, rusted, broken, no matter the T4R we support you and we will not turn you or your vehicle away. Addicted Offroad is a full service Parts, Sales, and Fabrication company offering offroad parts for all makes and models. We are CBI OffRoad Fab located in Idaho Falls, ID. We specialize in Fabrication for the Recreationally Insane! We have been around for more than 8 years building the best in Toyota vehicle armor and offering top notch customer service. We offer mail order products for 1st and 2nd gen Tacomas and 3rd and 4th gen 4Runners along with custom fabrication for many makes and models. Our business is expanding all the time so keep in contact as we begin to offer new body armor for your ride. We are also a dealer for many off-road lighting, suspension and recovery companies so give us a call to see what we can get for you. Have a question regarding bulletin board software? Ask away. Know all the answers? Answer away.